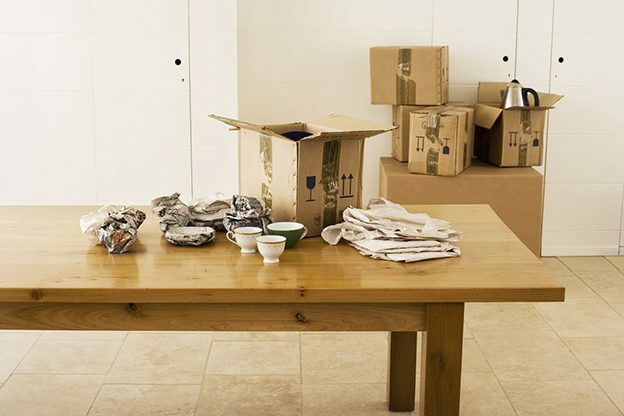 You will have to exercise additional caution while packing your dining room, but overall, the process shouldn’t be as overwhelming as packing your kitchen or family room because it doesn’t require as much preparation. Since the dining room is a non-essential room, you’re also able to pack at your convenience and it’s always nice to finish what you can before the last minute. Once the furniture is accounted for, silverware, dishes and other fragile items will remain. You should pack these items individually to ensure that they arrive at your new home in one piece, which can be time consuming, but it’s a straightforward process if you use good packing practices. You will need most of the same packing supplies for your dining room as the other rooms in your house, with some extra bubble wrap on-hand for fragile items. Before you start to pack individual items in the dining room, pad the bottom of your cartons with crushed packing paper. Always pack the heaviest items first, with the lightest items towards the top of the carton, and separate each layer with more crushed packing paper. Items should be packed snugly to reduce movement during transit, but not forced to the point of overcrowding. If you’re packing fine china, make sure the packing paper is clean and use multiple layers at once. Start from the corner and wrap diagonally, tucking in the overlapping edges. Then, wrap the dish as second time with the same technique for additional peace of mind. Take the same approach to securely pack bowls and other breakable dishes in the dining room. Once you’ve wrapped the dishes, place them into cartons on their ends. This is much safer than packing dishes flat for transit. Start by rolling a piece of packing paper and wrap that around the stem of the glass. Stuff the inside of the glass with packing paper, too, to prevent breakage from the outside. Finally, wrap each remaining section of the glass individually to ensure there is plenty of cushioning before snugly placing the wrapped stemware into a carton. You can either wrap silverware in sets, or individually. Wrapping silverware individually will be safer, but also more time consuming. If there is a container that houses a set of silverware, you’ll either want to fill the spaces in the container with packing paper or wrap the silverware and its container separately. Vases, decorations and other breakable items in the dining room should be generously packed with bubble wrap. Once secured in bubble wrap, use packing paper to wrap the fragile items with the same technique as the other items from your dining room. After you have snugly packed a carton, seal it with packing tape and then label it depending on the contents. If it contains fragile items, make sure you label it accordingly, with an arrow indicating the right side up. After all, it does not take much to scratch, crack or break dining room dishes, so if you don’t have time to pack, Lint United Van Lines has a full staff of professional movers who can make light work of it. 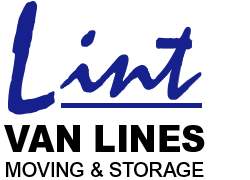 We serve the Iowa City, Cedar Rapids, Coralville and Des Moines areas for local, regional and international household moves.